Is Cervantes hot? That’s the question I’ve been grappling with since watching the video reveal of Soulcalibur 6’s latest returning character. He’s a cursed, undead pirate with an unquenchable thirst for souls, so he’s a bad dude, but he’s also shirtless and jacked. Murder and mayhem have done wonders for his physique. The old sea dog fights with a longsword and a dagger that also has a pistol “hidden” in its hilt. I’d argue that it’s more of a shortsword and that the pistol isn’t so much hidden as it is sitting there in plain sight. Regardless, it looks like a nifty piece of kit. In Soulcalibur 5, Cervantes was mortal again after escaping the influence of the Soul Edge, everyone’s favourite soul-stealing sword, but it looks like he’s back to his old tricks again, hunting for the blade and looking distinctly not alive. C’mon Cervantes, sort your life out. 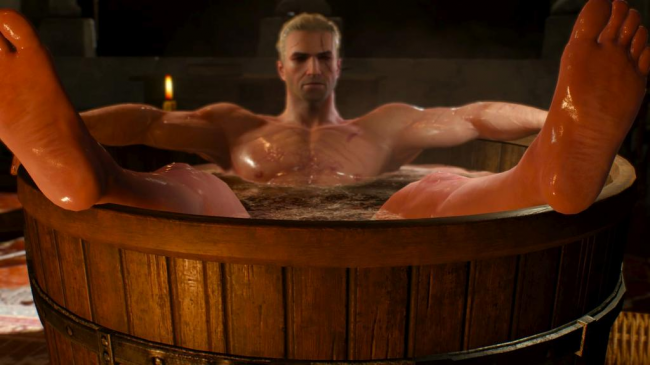 The real question is whether or not he's hotter than Soulcalibur's other angry old man, Geralt of Rivia. No, he is not. Soulcalibur 6 is due out on October 19, marking its first appearance on PC.